We build a DIY network system using fiber optic cables and connectivity. 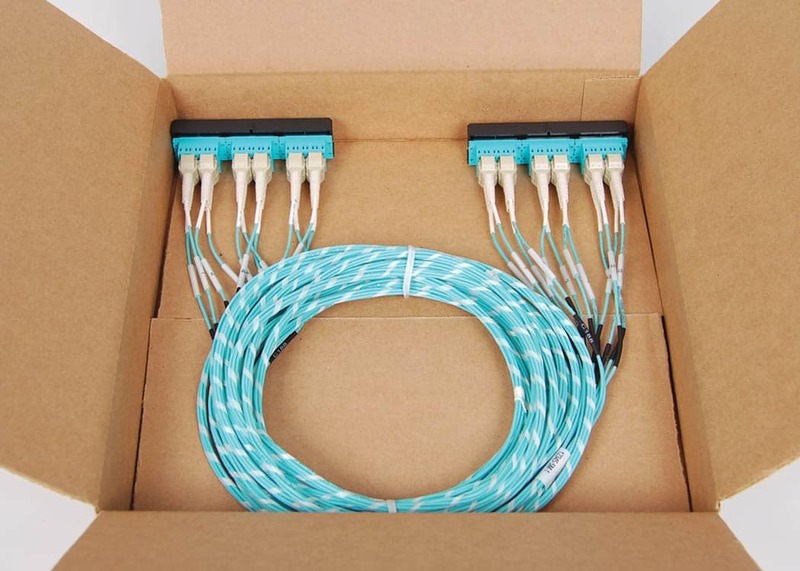 The optical fiber cable is terminated with fiber optic cable connectors. Then, we pre-bundle six cables together, pre-label and pre-test them. 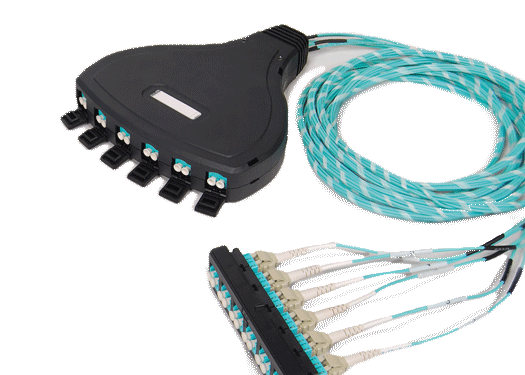 View Cablesys' pre-terminated patch panel system in our catalog. 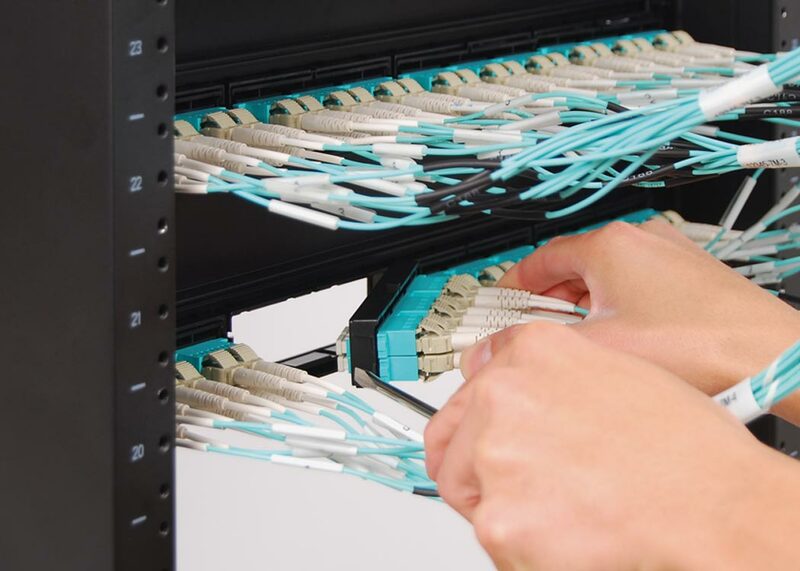 A unique bezel is built on the end of each cable assembly which is designed to snap into the pre terminated fiber patch panel. It can be easily removed using a flat head screw driver. Install in enterprise data centers, colocation facilities, server farms, cloud storage networks, and telecommunication rooms. 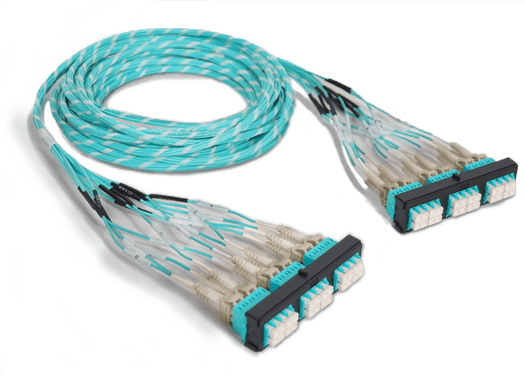 Each fiber cable assembly, or commonly known as trunk cable, is tested per TIA specification, exceeds and complies with ANSI/TIA-568-C.3, IEEE 802.3 and IEC-60793-2-10, and comes with a 15-Year performance warranty. 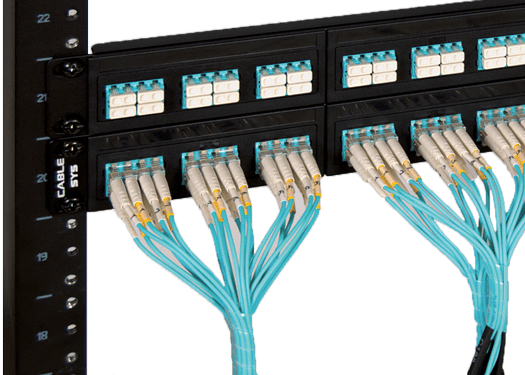 Ideal for connectivity between pre-terminated patch panels. 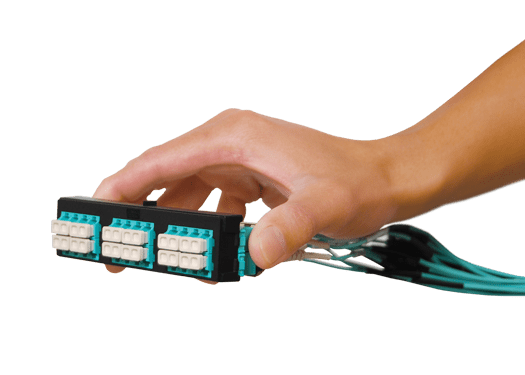 Perfect for connectivity between a patch panel and a network switch or router. Install between patch panels and open architectural environments; such as temporary workstations, POS terminals, warehouses, and more. Cassettes are pre-terminated with LC connectors on the font and MPO connectors on the rear. 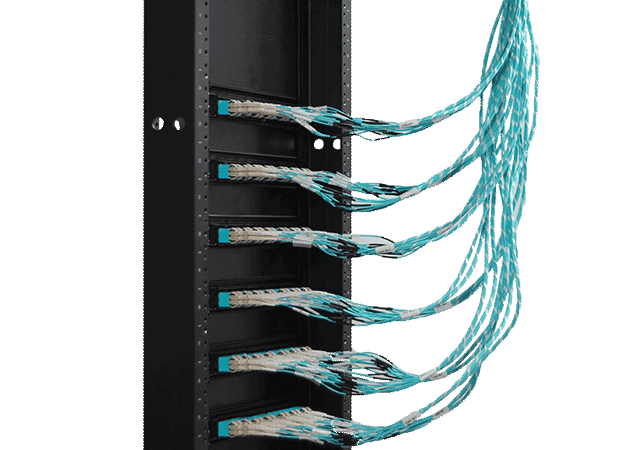 Install between patch panels to support high density backbone applications. How to Install a DIY Network? Install the bracket panel. 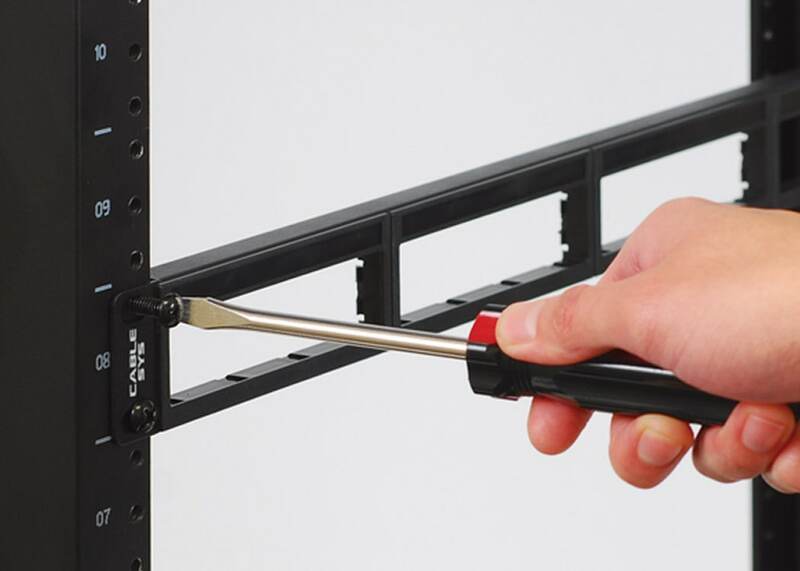 The panel fits 19 inch rack mount widths. 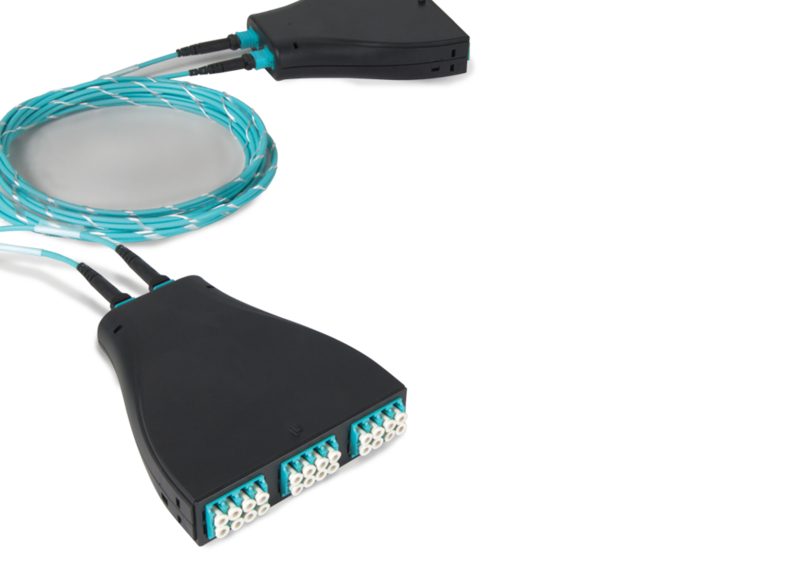 Support fiber optic cable on the front and rear of the panels. 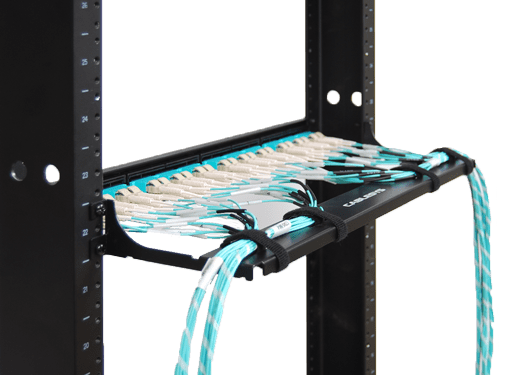 Use pre-bundled and pre-labeled fiber patch cords to connect to equipment. The wrap is removable and the labels are numbered to identify cables. Consider fire rating of material and airflow. 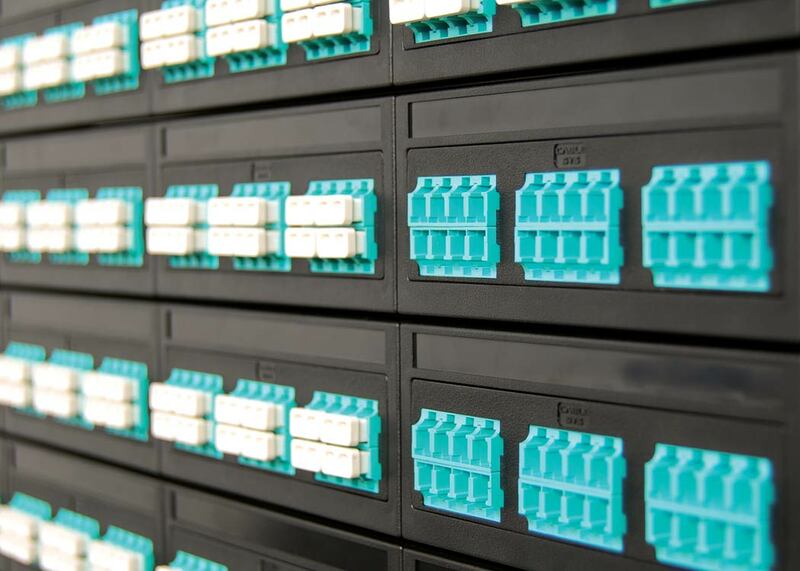 Most data center environments can use riser-rated cable (OFNR). Use OFNR in vertical settings, such as cable running between floors through cable risers. Use plenum-rated cable (OFNP) in raised flooring systems, drop ceilings, and air handling ducts. Always consult with city or building authorities for the latest code before deciding the type of cable to use. Consider the maximum operating distance to support active equipment or devices throughout the entire network. Consider accessibility to active equipment and the layout of the room when measuring, then round up to the nearest meter. We can custom build OM4 up to 550 meters and OM3 up to 300 meters. Email your configuration to cs@cablesys.com. An account representative will provide you with a quote.